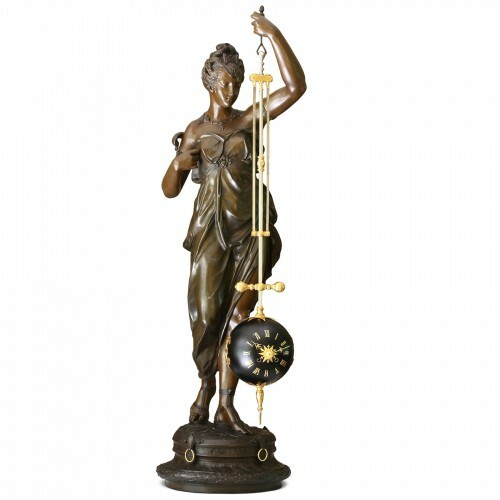 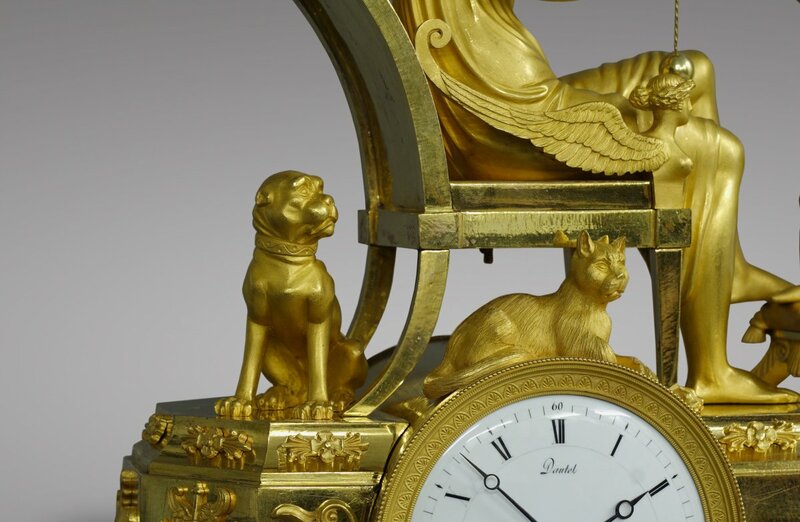 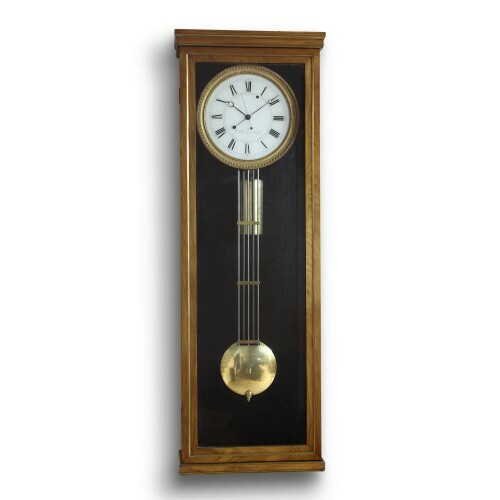 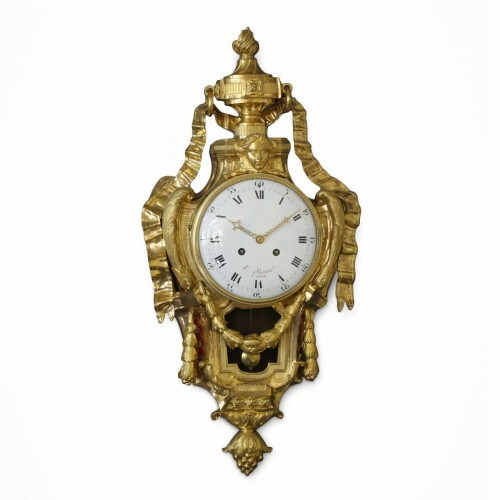 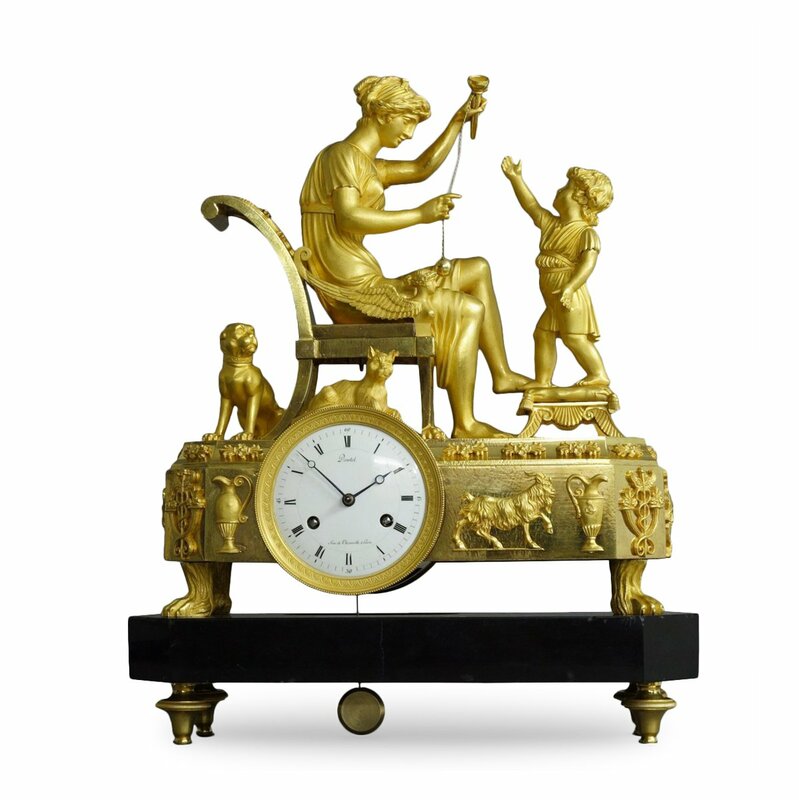 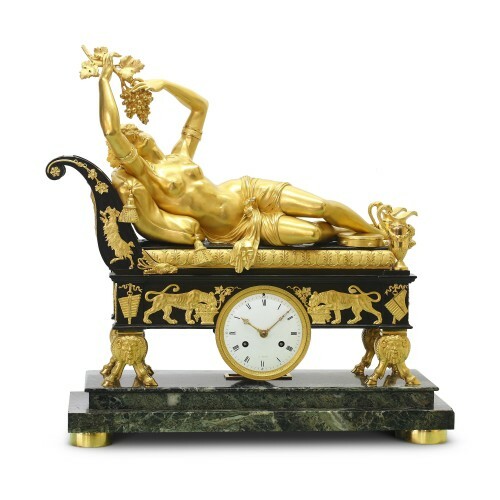 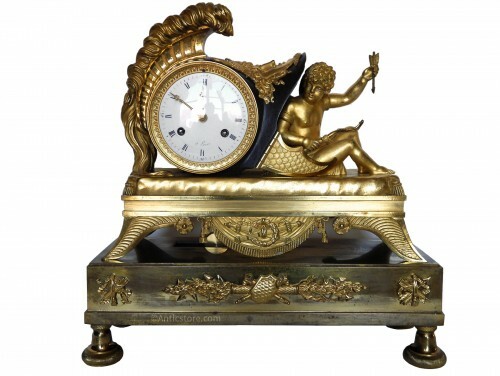 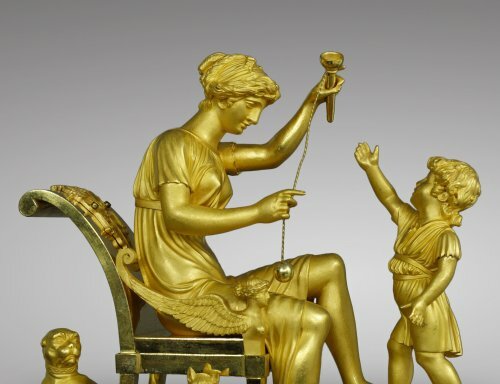 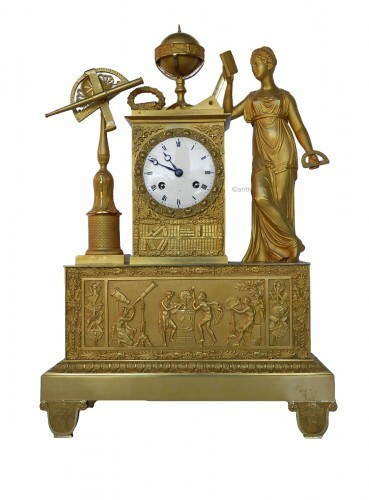 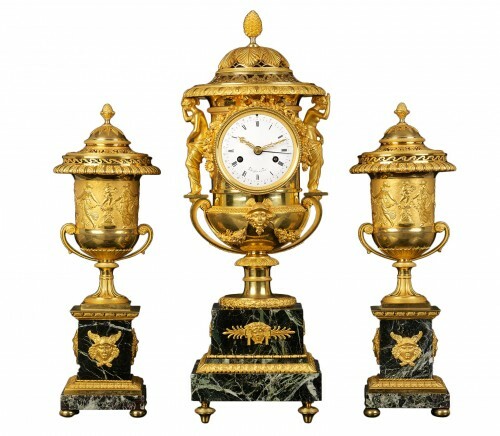 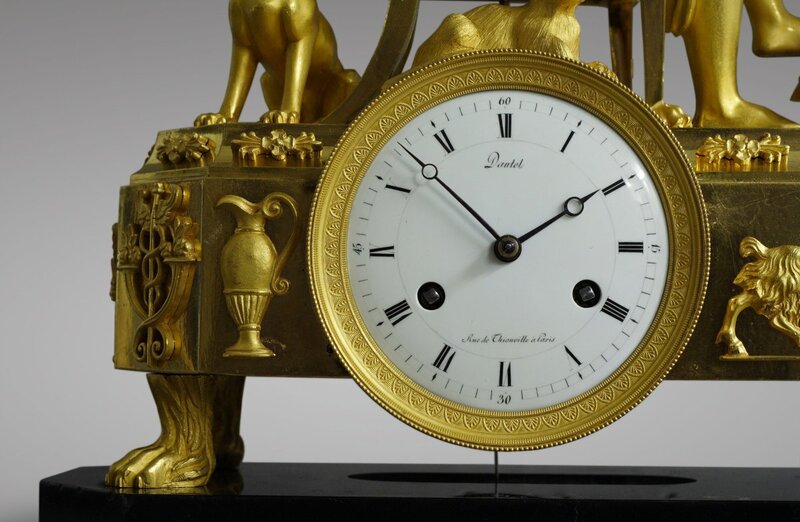 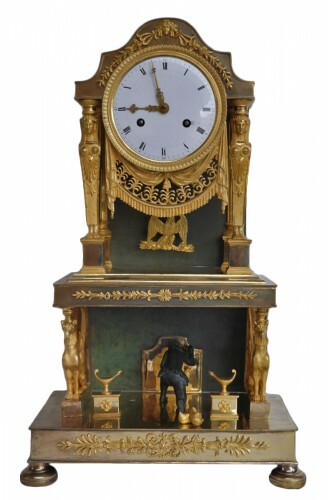 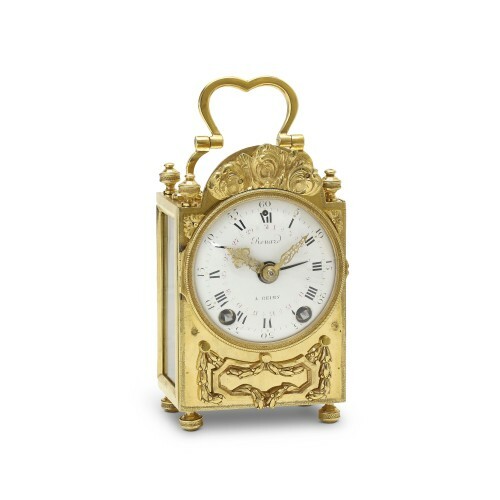 AnticStore > Catalogue > Clocks > French Mantel Clocks > Empire > 19th century > French Empire-period mantel clock "The Cup-and-Ball Lesson"
French Empire-period mantel clock "The Cup-and-Ball Lesson"
Black marble and ormolu of exquisite quality, signed Dautel, Rue de Thionville à Paris. 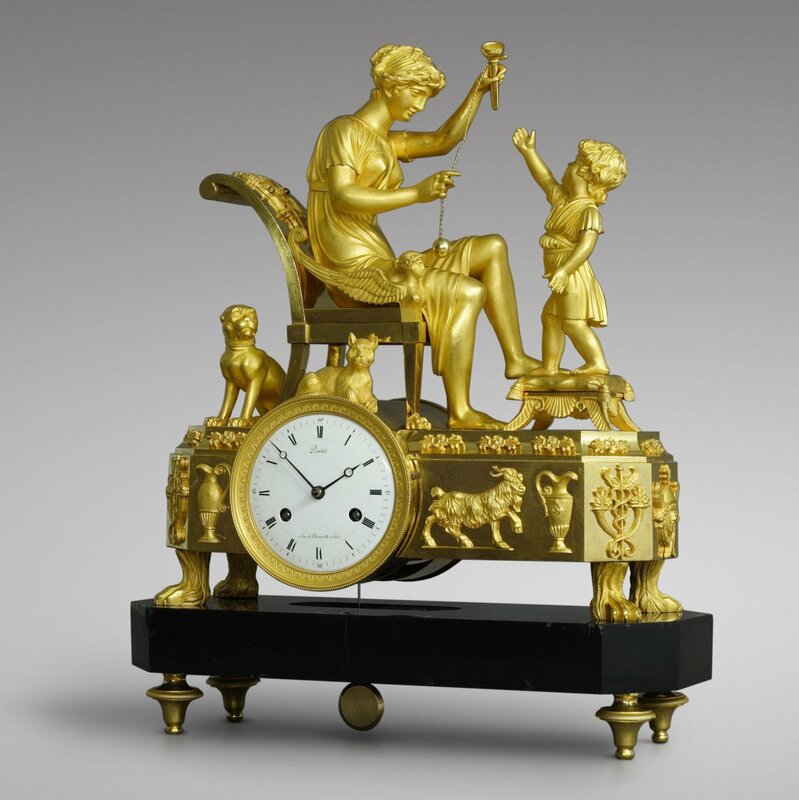 winged sphynges armrests, flanked by her cat and dog, explaining the intricacies of the game to a young boy perched on a stool and cushion. 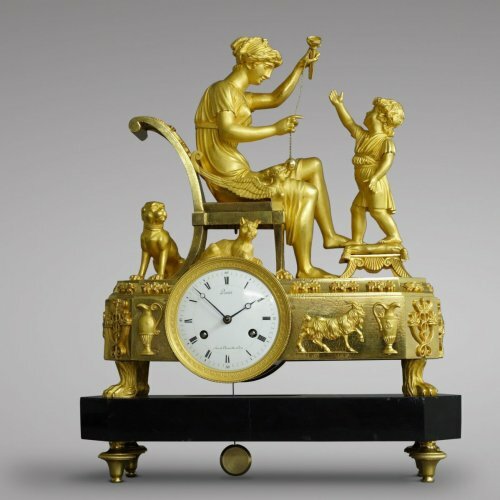 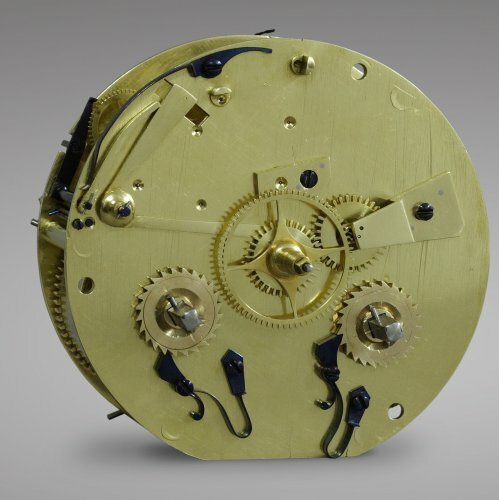 escapement and silk suspended pendulum, countwheel strike on a silvered bell.